It just so happens the 16-19 age group is also the highest in average annual crashes and traffic violations, according to the California DMV. These two statistics add up to a dangerous mix for teen drunk driving. The National Highway Traffic Safety Administration says teens are at a far greater risk of death in an alcohol-related crash even though they’re below the 21 year old minimum for legal alcohol consumption. 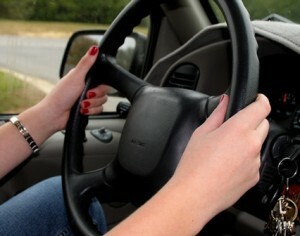 But there are some common sense tips that can keep teens and those on the road with them safe. Ride with a sober driver – You’re only as safe as your driver, so choose wisely. Focus on driving – Rule number one, cell phones are off limits. But also, keep the music and the number of passengers down. Know and obey the laws – Log lots of driving practice hours and learn the rules of the road. Then implement everything you learn, wear your seatbelt and drive defensively.